Magog, April 12, 2018 – Camso unveils the first patented anti-static forklift tire to resolve the important safety issue of static electricity generated by non-marking tires. Camso will showcase its new Solideal PON 775 NMAS (Non-Marking Anti-Static) press-on tire at CeMat later this month. 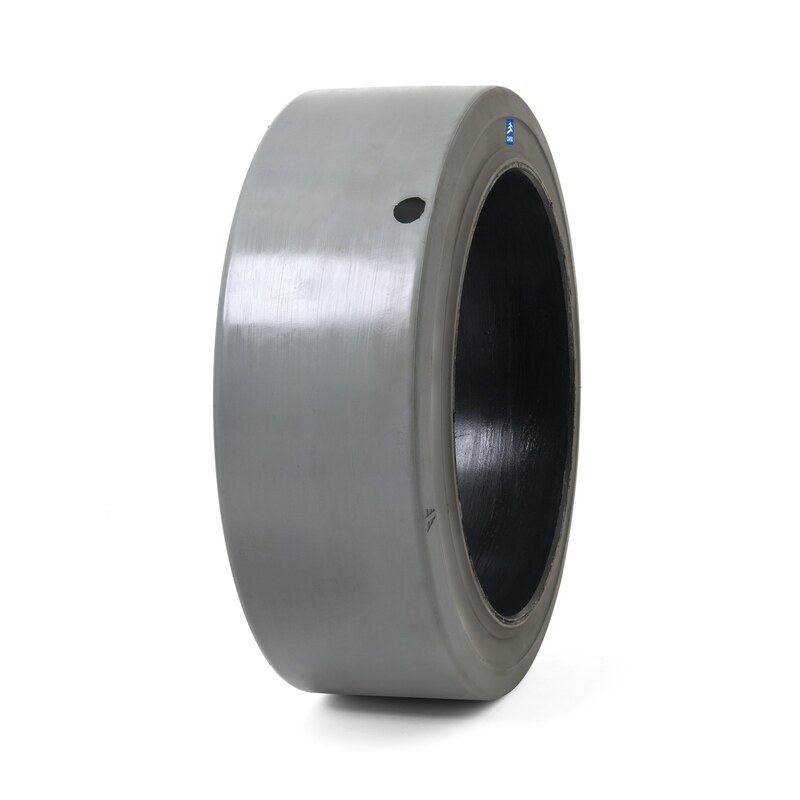 In 2017, the company launched three new Solideal press-on (PON) tire solutions for forklifts working in high- and medium-intensity applications. In high-intensity applications, tires are pushed beyond their limits and are likely to experience heat build-up. Where non-marking tires are used, operators and warehouse managers also have the issue of static build-up to consider. “Last year, we brought solutions to respond to forklift usage intensity. This year, we’re tackling the issue of static build-up,” says Darren Stratton, Product Management Director - Material Handling at Camso. “The accumulation of static electricity on forklifts is common in non-marking tires because of the silica used as reinforcing filler, allowing the tire to have isolating properties. This can lead to a number of problems like driver electrical shocks, forklift onboard electronic issues or outages and fire hazards,” concludes Stratton. 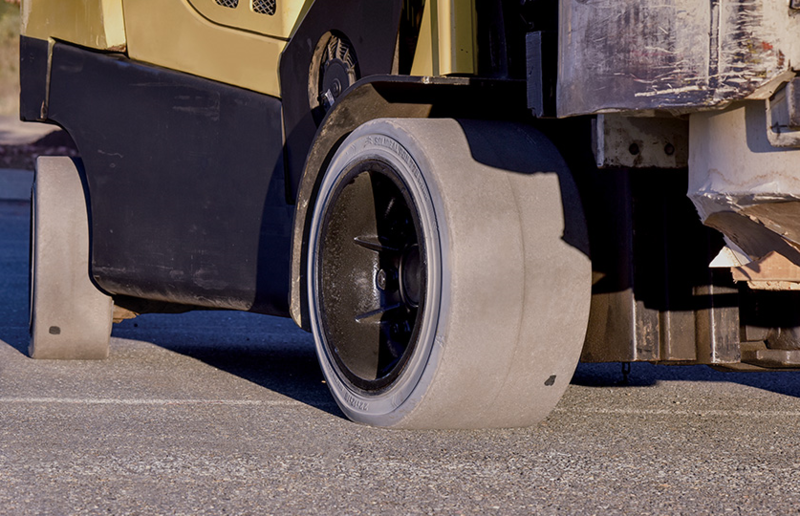 Camso took these issues seriously and created the revolutionary Solideal PON 775 NMAS tire, the world’s first press-on that prevents static build-up on non-marking tires thereby resolving potential safety issues for forklift operators as well as facility damage. With patented anti-static technology, thermally-efficient construction and abrasion-resistant tread compound, the Solideal PON 775 NMAS represents a major innovation and breakthrough in the industry. It provides 63% better resistance to heat build-up and 33% greater energy efficiency compared to the company’s Solideal Magnum SM NM (smooth non-marking). It also ensures greater operator safety while minimizing human electrical shocks, outages, electrical component damage and fire risks. “We take an active interest in the needs of our customers. The Solideal PON 775 NMAS provides a solution to an existing problem that had never really been addressed before. It’s a game-changer and we’re proud to be the first to bring it to market,” Stratton concludes. The new Solideal PON 775 NMAS will be showcased for the first time at CeMat, the world’s leading trade fair for intralogistics and supply chain management, from April 23 to 27. CeMat is held every two years in Hannover, Germany, attracting logistics experts from around the world. Camso representatives will be showcasing this revolutionary new tire model at booth L30 in Hall 26.